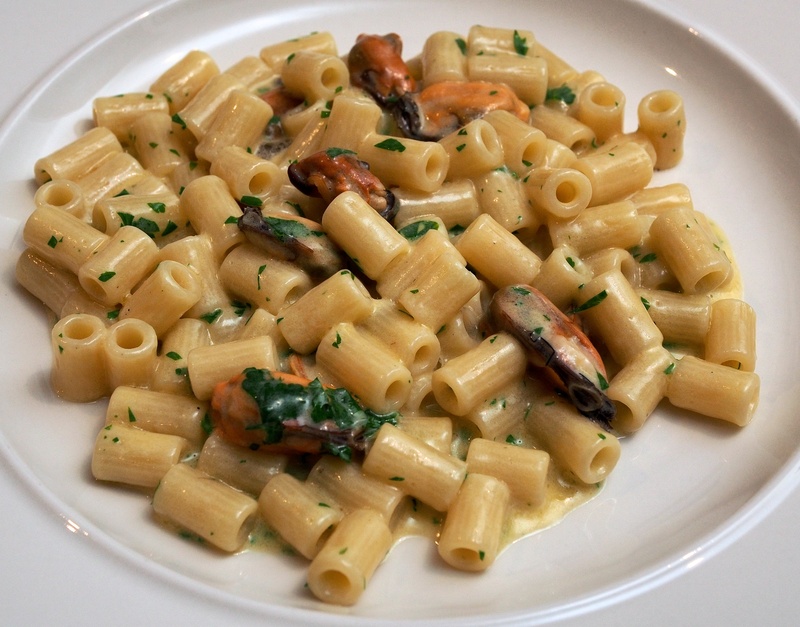 A scrumptious and deliciously rich pasta dish that works perfectly as a starter. Wine Suggestion: A textured white works best here; old-world minerality rather than bright fruit-forward styles. The Casal di Serra Verdicchio from Umani Ronchi in the Marche (central Italy) combines stonefruit flavours, hints of wild-flowers on the nose and a crisp yellow apple finish and goes with the richness and depth of the pasta. Heat half the butter with the oil, then add the garlic and mussels. Pour in the wine; season, then cover and cook over a high heat until the mussels have opened. Drain the mussels and reserve the cooking liquid. Remove the mussels from the shells; discard the shells and any mussels that haven’t opened. Heat the rest of the butter in a pan and add the mussel juices and the cream. Cook gently to reduce to a rich and creamy sauce. Then add the mussels and parsley. Cook the pasta according to the packet instructions, then drain and add to the sauce. Toss together over a low heat, and serve. Looks delicious – any suggestions for a non-dairy version? I’m not allergic, but I have loathed butter since I was a kid, and I’m iffy about warmed cream and cheese. Odd – milk aversion runs in the family. I’m afraid this dish doesn’t work without the butter or dairy Steve; it’s sort of integral. I’m sure you could dress a pasta with olive oil, garlic and herbs along with a bit of white wine, but we’d use a tagliatelle or fettucini instead. Not the same dish, but let us know if you come across a good one without the dairy.